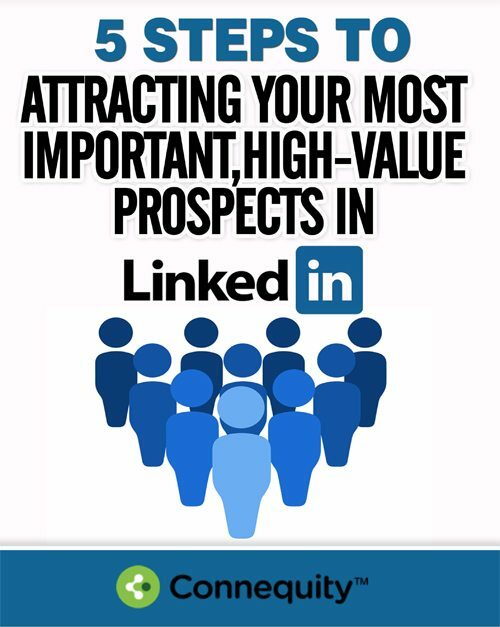 Time is Limited; Learn How to Make Successful Business Connections Quickly. From joining groups and attending mixers, conferences and conventions, to maintaining a steady flow of contacts and outreach on LinkedIn and other social media and networking platforms, there are a million different ways to network and put yourself out there. Even if you do all that, you still might find yourself wondering why you’re not making the meaningful, rewarding contacts you’re after. The problem might not be what you’re doing, but how you’re doing it. Successful business networking doesn’t mean making as many superficial contacts as possible, it means making deep connections with high-quality contacts. Here are 5 tips for elevating your networking game. It’s all fine and good to attend industry group events and conventions, but if you’re only just showing up, listening to speakers, and making one or two trips around the room, chances are you’re not going to get too much out of it as far as making useful connections. That’s why it’s important to get more deeply involved. Contributing as a volunteer, getting on a discussion panel or getting involved with the organizing board can be a great way to raise your profile at these events so people get a chance to get to know you better and become familiar with your professional abilities, this will help your name stand out. Joining an industry-specific group is a great way to learn tips, stay up to date on trends and plug yourself into a network of like-minded professionals. However, since you’re primarily only associating with other people who do and want the exact same things that you do, it’s not necessarily the best way to pick up new clients. For that, you need to get out of your specific box and look in places where you might find people in similar or related fields who might be interested in your services. Local community organizations, philanthropic foundations, or broader organizations that aren’t specific to your industry can be a great place to meet potential clients without as much competition from your industry peers. 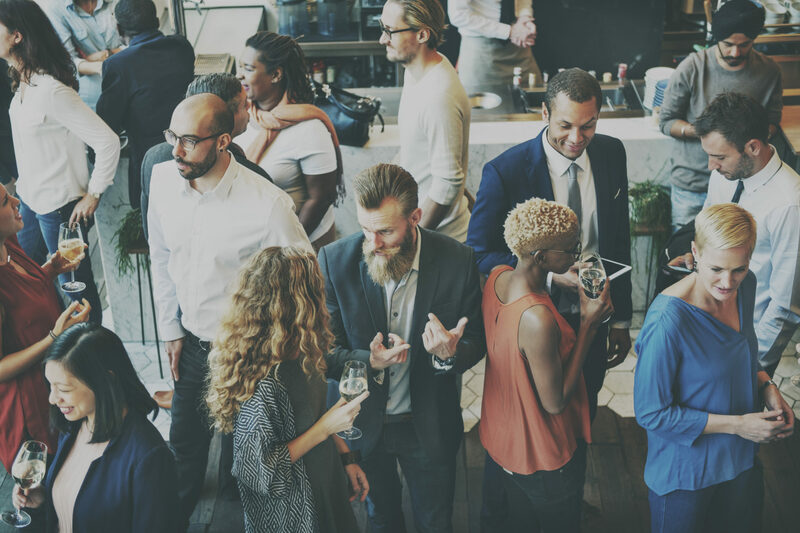 Whether it’s a group on Facebook or LinkedIn with in-person meetings and events, or regular engagements on Meetup, being a part of a digital-driven networking group is a fantastic way to put your name out there. But even better than that: starting your own. Being the driver of an active group with online and in-person engagement will instantly boost your credibility. And, since you are the group leader, you get to choose whether it’s industry-specific, or open to other related fields, and you control who gets the invite, meaning that you get to create your own fishing net and choose every fish that swims in your pond. Networking events can start to blur together, especially if they aren’t paying off. So, it can be really easy to just tune out and go through the motions. That’s why it is crucial to stay focused and engaged with every person you meet. People love talking about themselves, so ask a lot of questions and get people talking. And when they do start talking, really pay attention to what they have to say, even if it’s totally unrelated to your industry or area of expertise. Ask them questions about how they got started in their industry, and what excites them about their line of work. Try to find common ground and connect on a deeper level than usual. This makes people feel good, which means they’ll be more likely to remember you. Finally, when you leave a business networking event, be careful not to leave your conversations at the door. If someone told you about an interesting project, follow up and ask how it’s going. Even if you didn’t make any specific business connections with someone, reach out and let them know you enjoyed speaking with them about this or that (the more specific the better). When people feel you’ve remembered them and were truly interested in what they had to say, they’ll be much more likely to keep you in mind for future projects and potentially pass your name along to someone in need of your services.